Whether you are new or experienced at parenting, naturally there will be worries regarding your baby’s wellbeing, however with our latest offering into the baby monitor market- the EyeOn HD 360 – you can be rest assured that parenting will be that little bit easier. The EyeOn HD 360 is the device that turns your smartphone or tablet into a baby monitor. This isn’t just any baby monitor though; this is a product that also has real longevity- achieved through the pan and tilt feature that really lends itself to monitoring a baby’s development even when they become a toddler. As they start to get that little bit more mobile a stationary monitor might not have the coverage required, this is simply not the case with the new EyeOn as it is capable of monitoring an entire room with ease. With sleep sometimes being a luxury with a small child an additional benefit of a baby monitor is that you don’t need to enter the room to check on your baby, unless it is essential. Not only will this provide sleep training for your baby- ensuring that they aren’t disturbed regularly, but naturally you will feel more rested and re-energised. 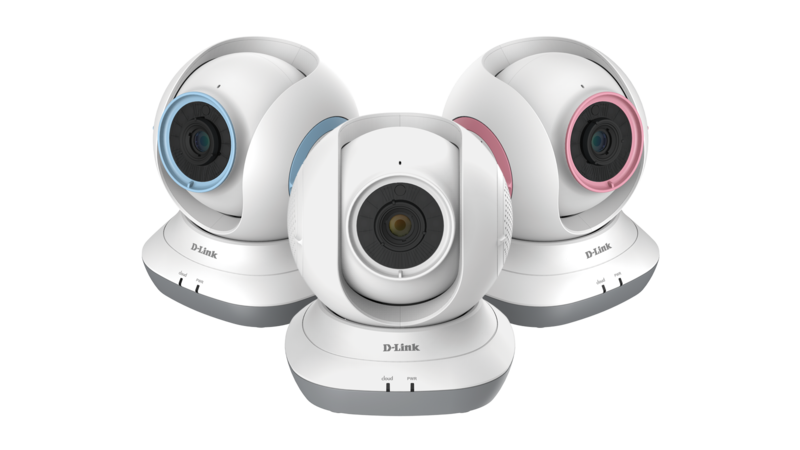 D-Link’s range of EyeOn baby monitors also ensure that users have 24/7 monitoring via the mydlink baby app. In addition to the pan and tilt feature there is also two way audio, a temperature and motion sensor, lullabies and HD video quality both during the day and at night. Ultimately a baby monitor provides peace of mind and security. Not to mention that when your little one grows up you are left with an excellent security camera!